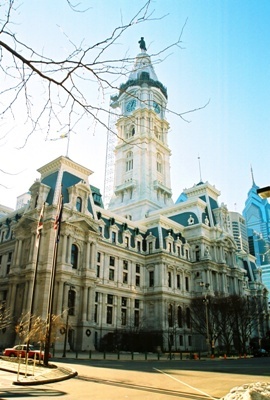 Philadelphia City Hall has been a structure of controversy since its very inception. 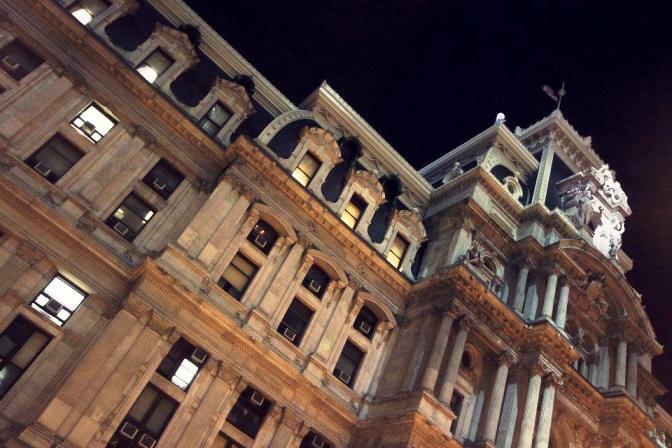 It's ornate architecture has been praised as magnificent and criticized as horrible. 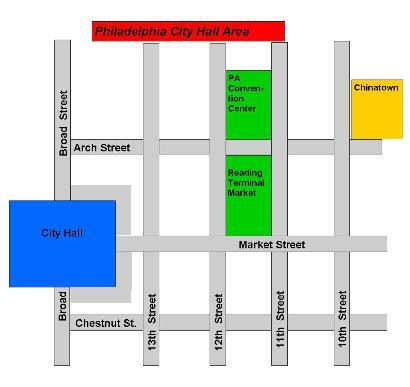 The building covers over 4 acres in one of William Penn's orginal squares of the city. Construction was started on the building in 1871, but was not complted until 1901, a full thirty years of controversy as building costs continually ran over budget and political controversies swirled around the building project. The building reaches a height of 510 feet, and is the largest masonry construction in the world. The first floor supporting walls are over twenty feet thick. 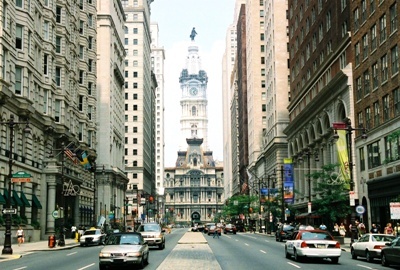 The central tower is topped by a 37 feet tall statue of William Penn. There are more than 250 sculptures in the building which contains over 600 rooms. A center courtyard can be entered from four archways from each side of the building. There is also an observation deck which is open to the public.